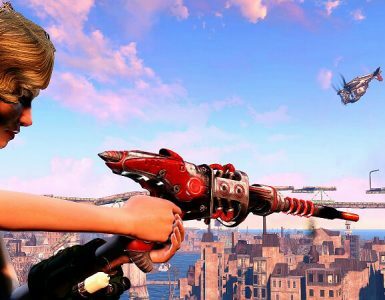 This guide will help you maximize the potential of your character and gain access to some powerful weaponry early on in the game. This will allow you to gain the maximum amount of skill points and hence maxing out more skills. 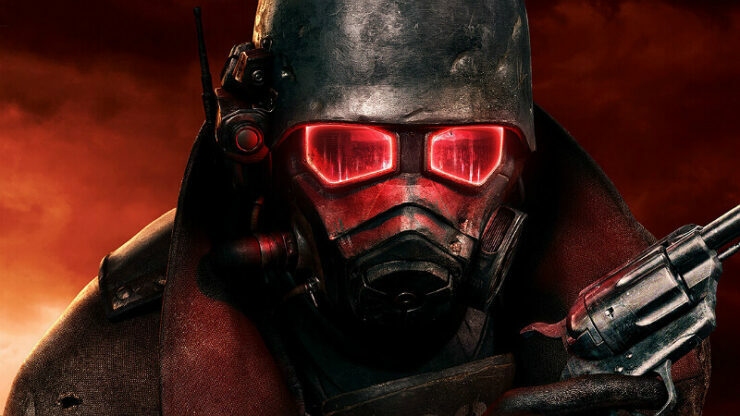 I will be covering – Special stats, Starting skills, Unique weaponry that can be used well into end-game and ways to earn extra caps. Strength: 5 – Melee/unarmed may need more, Perk adds +50 to carry weight if you really need it. Perception: 1 – Not important at all, unless you want to play as a sniper. Endurance: 7 – Improves health. Intelligence: 9 – Maximises skill points. Agility: 9 – Increases AP. 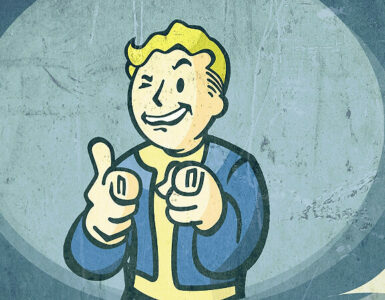 Luck: 5 – Increases crit chance, Perk adds 5 points worth of crit chance. 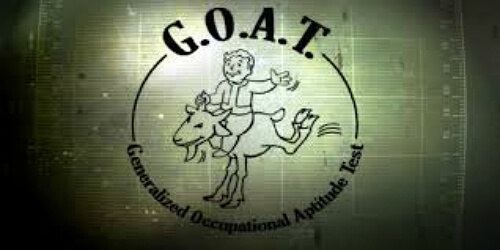 It’s time for you to take the G.O.A.T. exam, this will decide your future in the vault, and your skills! Barter – Earn more caps from selling weapons you loot. Repair – Repairing weapons to use or sell. Small Guns/Melee/Unarmed – Higher damage early on, will help later on in the guide. You should be focusing on upgrading Lockpicking, Repair, Small guns/energy weapons/Big guns/ melee/unarmed, speech and barter until lockpick is at 100, a combat skill is at 50, speech is at 50, barter is at 50 and repair is at 50. Then get science to 100 and continue your build. Level 2 – Intense Training Endurance – Helps maximize your health and resistance to poisons/radiation. Level 3 – Intense Training Endurance – With an endurance of 9 now all that is needed to max it out is the bobblehead. Level 4 – Educated – Increases skill points per level by 3 which maximises your skill potential. Level 5 – Comprehension – Increases skill points from skill books by 1. 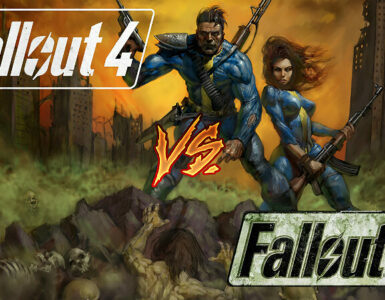 Level 6 – Gunslinger/Daddy’s Boy – Improves accuracy with 1 handed weapons in V.A.T.S./ Increases science and medicine by 5. Level 7 – Daddy’s Boy – Increases science and medicine by 5. 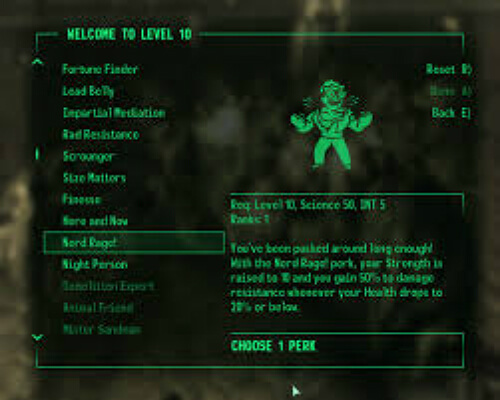 Level 8 – Strong Back – Improves carrying capacity which in-turn increases the amount of items you can carry, great for earning caps. 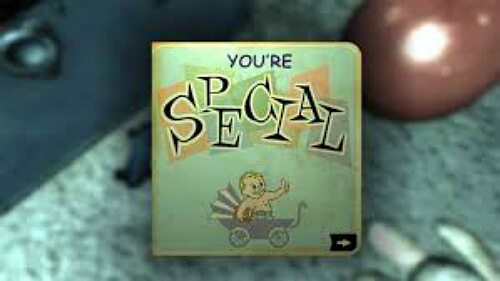 As soon as you leave the vault you should make a B-line towards rivet city to retrieve the Intelligence bobblehead, DO NOT LEVEL UP SO YOU MAXIMIZE YOUR SKILL POINTS. Dodge any enemies and try to stick to the water and you should reach there with as little XP possible. Once you get the intelligence bobblehead you are free to level up as your possible skill points are maximised. 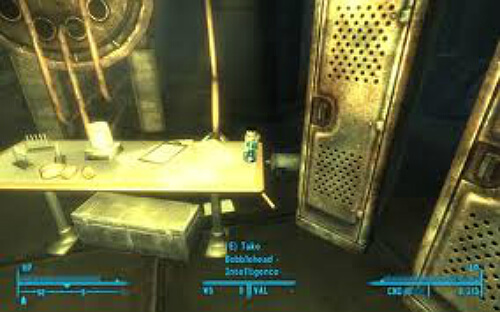 The bobblehead is located on a table in Dr. Li’s science lab in rivet city. 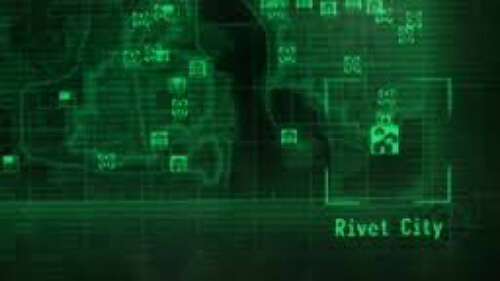 For this method you must travel to megaton and speak with moira in craterside supply, start the wasteland survival guide quest, start with the minefield section. Head to the minefield and disarm every single landmine and pick it up. Then travel to the anchorage war memorial and on the bridge there will be a huge amount of landmines(20 or 30), disarm all of these. Now head back to Moira and sell all of these land mines. Next start the super duper mart quest, head to the super duper mart and kill all the raiders, loot everything and repair it. Sell it to Moira. Next head to springvale school, kill all the raiders outside, loot them, repair and sell it. Head inside and do the same.